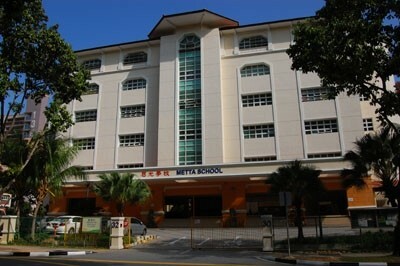 Metta School was established in 2001 by Metta Welfare Association with the support of Ministry of Education (MOE) and National Council of Social Service (NCSS). The school began its operations at a holding site at Chai Chee Lane. The school offers special education to children with Mild Intellectual Disability (MID) and to children who also have Autism (ASD), aged between 6 and 21 years. In 2005, the school moved to its current building at Simei. The school building was officially opened by Mr Tharman Shanmugaratnam, then Minister for Education. In 2008, the School piloted the Vocational Certification programme for its students, as well as graduates from other Special Schools, at the age of 17 and above. The school attained the Approved Training Centre status to conduct the Institute of Technical Education Skills Certificate (ISC) training in Baking, Food Preparation, and Housekeeping Operation for its students. In 2013, the new extension block became operational. It is a 5-storey block with training facilities to cater to the needs of the Autism, MID and Vocational programmes. In the same year, the school embarked on 2 new ISCs (4 Module ISC) that will provide better opportunities for our students to continue their education at Institute of Technical Education (ITE). ISC in Baking Practices and ISC in Hospitality Services graduates with Workplace Literacy (WPL) Level 5 and Grade Point Average (GPA) of 2.5 and above may apply for progression to National ITE Certificate (NITEC) in Baking & Pastry and Food & Beverages offered by ITE. We are proud to share that our first batch of graduates from the 4 Module ISC courses in 2014, we have 2 students entering full time ITE Nitec courses. Our second batch of graduates from the 4 Module ISC course in 2015, we have 6 students entering full time ITE Nitec courses and 1 students entering traineeship Nitec courses. The school has also started training senior students in the ASD programme with basic work skills of packing and sorting. The school partnered Steril Medical Private Limited to provide work attachment opportunities for work ready students with ASD in 2014. Since then, we expanded to seek opportunities for our students with other industrial partners. The school is privileged to be part of the pilot School-to-Work (S2W) Transition Programme since 2014 which aims to provide support to students as they move towards open employment. The programme offers customised training pathways and work options for students who may not benefit from the existing national vocational certification programmes. An Employment Pathway Programme (EPP) is put in place since 2015 for students who are not on the Vocational Certification track, to transit from school to work upon graduation at age 18. It includes the students from MID programme and ASD programme. 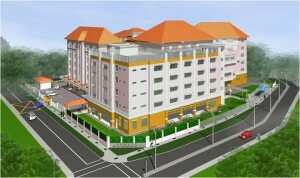 Students will undergo vocational skills training, such as WSQ modules, Food and Hygiene courses, etc. and job trials and on-the-job training.